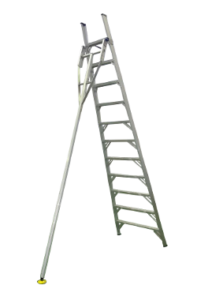 The PROT Orchard Ladders have a Strong, Sturdy, Stable and wide tripod design to maximize stability. 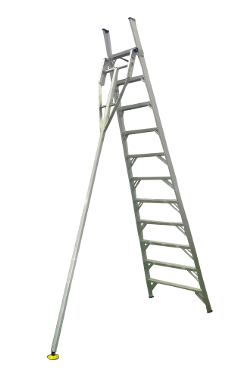 The Orchard Ladders come with the option of either a swivel pad or a spike for the rear leg. 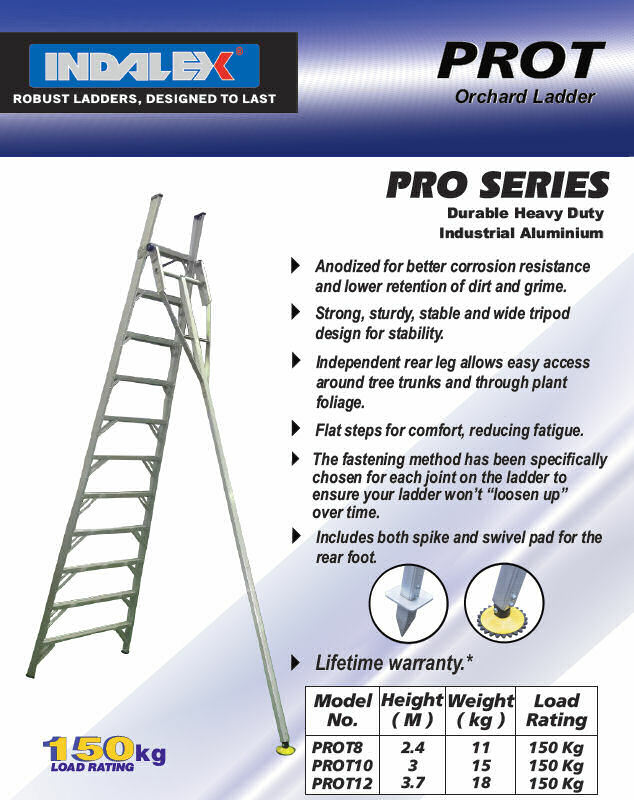 Lifetime warranty against faulty materials or workmanship.